We had posted on freecycle for wooden blocks and we received a decent bag full of unfinished blocks as well as painted blocks. 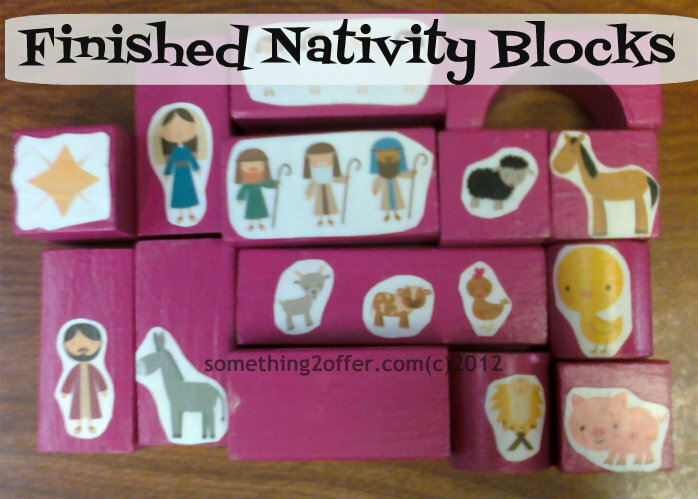 The painted blocks were in good condition, but the plain blocks needed sprucing up so we turned them into Nativity Blocks. 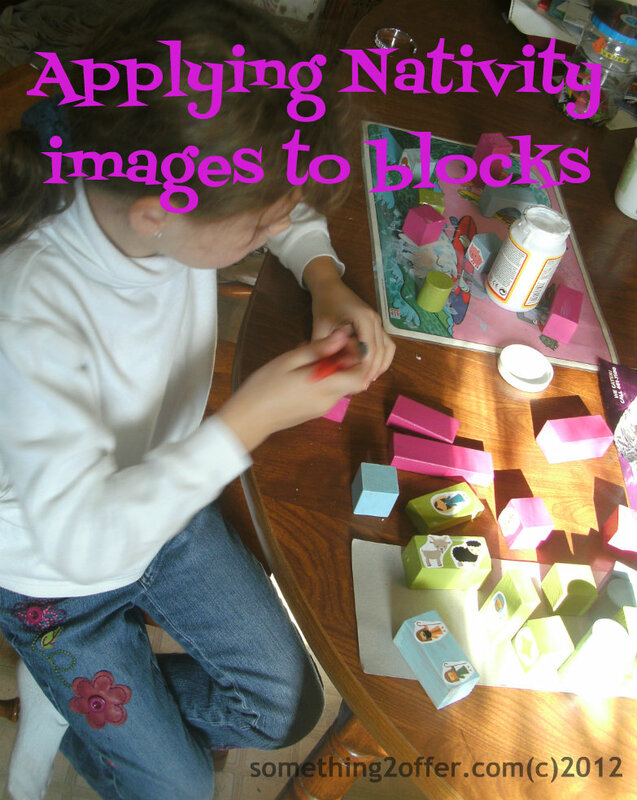 Wait until Modge Podge is dry and then coat the images with another coat of Midge Podge to secure the images. We painted all 6 sides with Modge Podge even though only 1 side had an image. Hopefully this will protect them for many years to come! 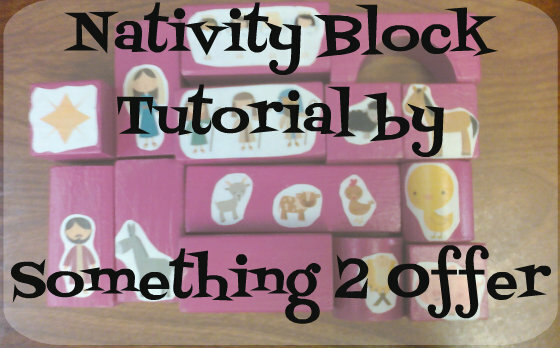 The Nativity blocks were placed around the base of our Christmas tree so the kids could play with them daily during December. Everyone had fun bringing army men, hot wheels, and other misc. figures to the nativity scene. 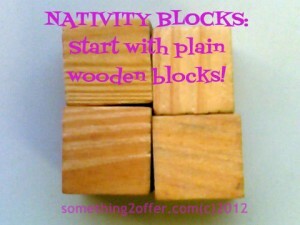 If you would like more ideas for Nativity Blocks please check my Nativity Block Pinterest board. 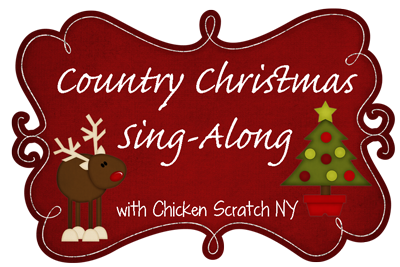 Want a free nativity image printable hand-drawn by Princess? Head over to Facebook and Like my page for a free Nativity Printable. 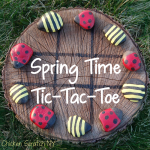 Thanks for allowing me to guest post even though I’ve been a little absentminded! 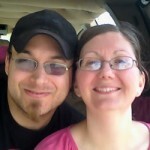 Your site looks wonderful. 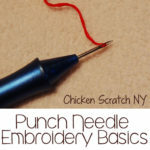 Just StumbleUpon this post and will try to get some more traffic headed your way!